As parents, it is our jobs to teach our kids what they need to know in life and as much as some of us might hate it, a lot of those lessons are financial related. If you were to ask your kids what they want to know about money, one of the things you would likely hear is when to spend it and when to save it. Teaching your kids want vs. need isn’t always an easy task. It requires constant reinforcement and in some cases it can take a while for them to learn the entire concept. If you take things slowly and are consistent, you can help them learn the difference early in life so that when they’re older, it won’t be a problem for them. As kids grow and learn the basics of budgeting and why they need one, they will learn each financial fact alongside of each other. This makes teaching them want vs. need even more important. If they learn one financial skill but fail to learn another, they will be left with only part of the picture. This can only lead to kids who don’t know how to fully manage their finances as adults. Not understanding how to manage your finances as an adult leads to spending your life struggling with your money. As with teaching kids anything, you need to make this lesson fun. Actually financial lessons need to be made more fun than normal since most kids are bored by them. There are a couple of great free financial curriculum options available that can help if you’re really stuck and the tips below don’t help. Given enough time though, these tips and tricks for teaching your kids want vs. need should help you teach your kids how to tell the difference between the two. Get hands on with the basics – Each child learns in different ways, but for the most part, kids will learn more if they are taught in more than one way. This means that to have the most success teaching your kids want vs. need, you should try to do a bit of each learning style; visual and interactive. 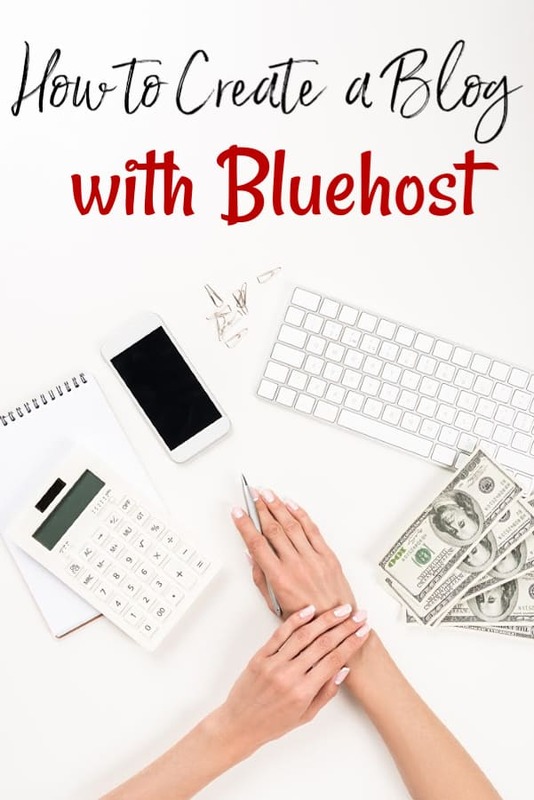 For younger kids, using something like a printable budget sheet with the basic budget categories and a pretend checkbook can give them the hands on clues that they need to learn. For visual learners, a cute DVD or documentary can help reinforce the ideas that you’re already teaching. Older kids will need something a bit more advanced. For our daughter, we did up a pretend household lease and gave her fake money to pay her “bills” with. We also did up a list of fun items that were wants and told her she could buy those if she wanted. It wasn’t too long before she realized that her wants were causing her needs to go unmet. Another cute idea is to take construction paper and label one piece ‘Needs’ and one piece ‘Wants’. Grab some magazines, junk mail, and newspaper then let them cut out pictures of needs and wants that appeal to them. Have them sort each one into the correct category and let them fill up each paper. As they’re doing this little educational craft, be sure you discuss why each one went into the category it did to help them learn. Go one foot deeper – Your kids will need to know that some categories in your budget will have both wants and needs. Groceries is a great example. Food is a necessity, but some foods like cookies, cakes and ice creams are all wants. Water is necessary for survival, but sodas are a want. We all need a shelter for home, but we don’t need so much space we will never use it all. A single person doesn’t need 3,000 sq. ft. In this case, that would be a want. One person could do fine in a studio apartment. Teaching them the difference between a want vs need within a need is the next step to teaching them the entire lesson. Make them save – If your kids are earning they’re own money but they aren’t be made to save? They’re not going to learn what a want or need truly is. Ideally, you should have them save 20% of the money they’re earning, but if you feel that is too much to start with, 10% works well too. If you want to add a visual teaching element to it, grab them a save/spend/give piggy bank. Having the money separated in a way that they can see every time they look at it can help solidify it in their mind. Finally, Live It – We all know that kids learn what they live so the absolute best way to teach your kids is to teach by example. This means sticking to your budget so that you are a role model to your children who shows them that needs are more important than wants. Don’t indulge yourself or them and every whim. Make your kids earn the money, just like you do, so that they have the money they will need to buy their wants. This not only teaches them that they have to work for what they want in life, but will double up and help teach them the value of a dollar. 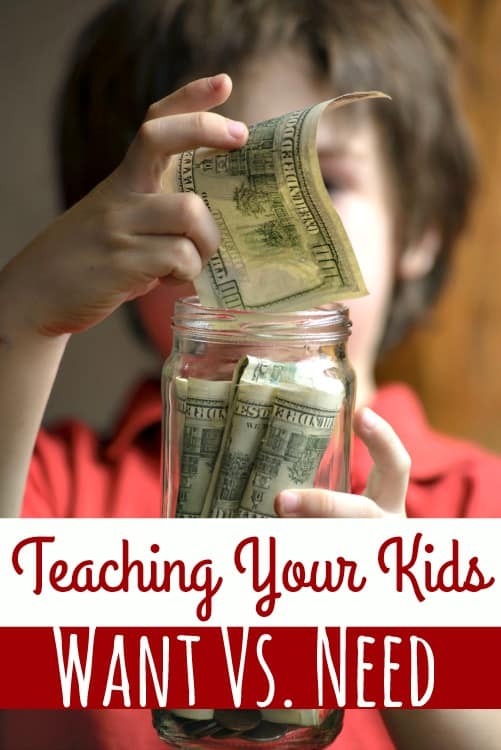 I know that it can seem like a big job to teach your kids about finances. In truth, it is. It is also one of the most important lessons that you can teach them. It is worth taking the time to make sure that they understand it completely. I still talk about wants and needs with my teen. She understands completely, but sometimes needs to be reminded that money doesn’t grow on trees. Thanks for the great article.